On October 18th we hosted at the Slovakian-Polish Business Forum in Spišská Nová Ves in Slovakia. 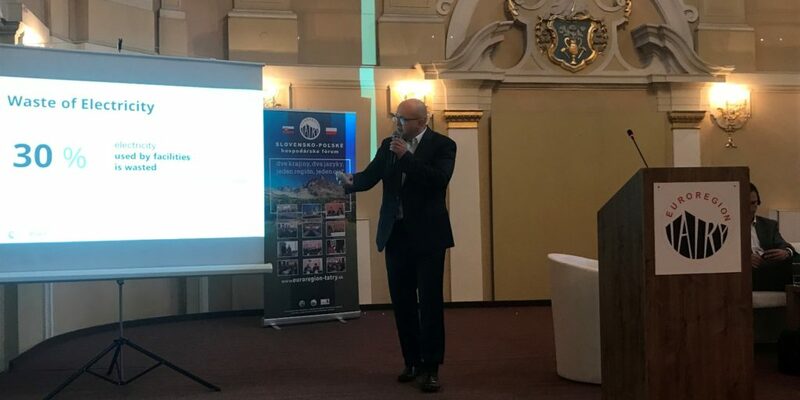 CEO of VPPlant – Grzegorz Nowaczewski presented a presentation about innovative technologies made by his company, which were addressed to the managers of large volume buildings. He also took part in discussions about development of electromobility in both countries. Every edition of Slovak-Polish Economic Forum is an important part of economic relations between these countries. This year took place the 16th edition. The event is supported by the Embassy of the Republic of Poland in Bratislava, the Embassy of the Slovak Republic in Warsaw and is co-financed by the Ministry of Development. Program of the forum includes current economic relations and also topics such as tourism, transport, regional development, exchange of experiences, supporting the actions of development which are characteristic for border region, strengthening of cooperation between cities from “Tatra” Euroregion and gaining new business contacts. The event is attended by entrepreneurs and experts from Poland and Slovakia.